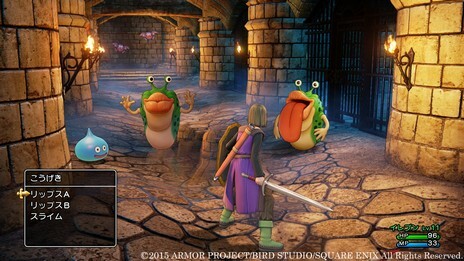 Square Enix has announced that they will be holding a “Project Presentation” for all of their Dragon Quest titles coming this year in honor of the series’ 30th Anniversary (via Gematsu). The presentation is set for January 13th, 2:00 PM JST, which translates to tomorrow at midnight for the American east coast. It looks like the presentation will also be streamed on Niconico and Youtube. Dragon Quest Builders (January 28th), Dragon Quest Monsters: Joker 3 (March 24th), Dragon Quest Heroes II and (hopefully) Dragon Quest XI are the games that currently comprise the aforementioned lineup. Keep in mind, the known release dates are for the initial drop in Japan. Not much is known about Western releases at this time. The most anticipated title here is by far Dragon Quest XI. Everyone wants to know how Square Enix plans on rejuvenating the core games for the Dragon Quest 30th anniversary. Aside from a bit of footage and some stills, we don’t know much about this game other than the fact that it will be a traditional, single player RPG and it will be coming to home consoles. It would be safe to assume we will see more of the title, as well as get a better idea of when Square Enix plans on getting it into the hands of gamers.